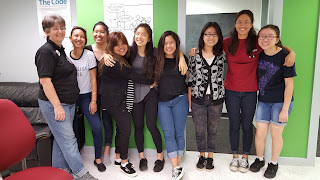 Friday night, April 1, was no night for fools! 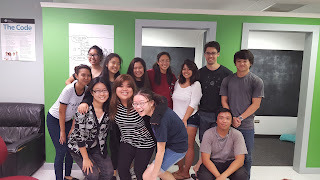 Eight Academy students from the Intro to Computer Science class and the CyberPatriot teams gathered at the POST (Pacific Ocean Science and Technology) building to join students from the UH ACM (Association for Computing Machinery) in their outreach activity: a Coding Marathon. Thank you to the UH ACM student members who served as mentors for the event: Evelyn Pirnia, Tor Nielsen, Clay Nakamura, Kalani Sanidad, and John Moroney (not in the photo). 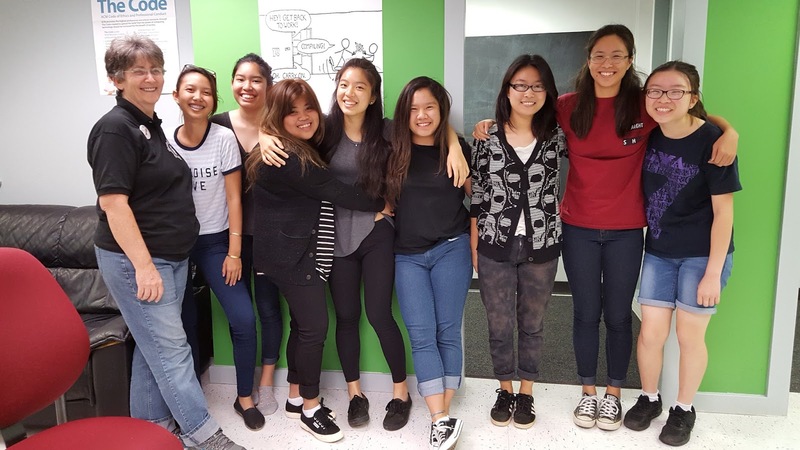 Academy participants were sophomores Ashley Acoba, Catlynn Nguyen, Julia Oehlers, juniors Christina Chen, Leeona Domingo, Carlee Matsunaga, Taryn Wong, and senior Weiyi Huang joined Mrs. Kula for hours of "command line" instruction, the basics of Git usage, and Java programming and compiling on Cloud9, and lots of inspiration from UH students who are passionate about the work they are doing.